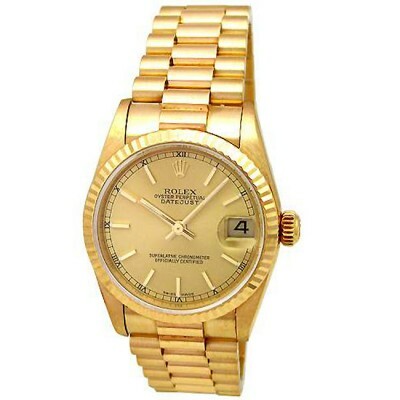 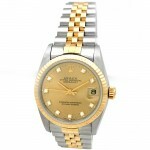 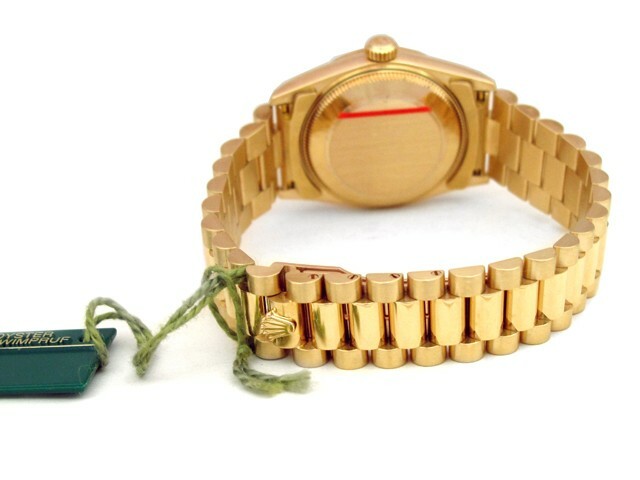 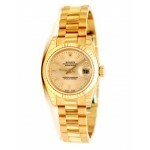 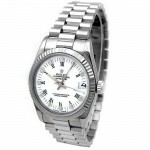 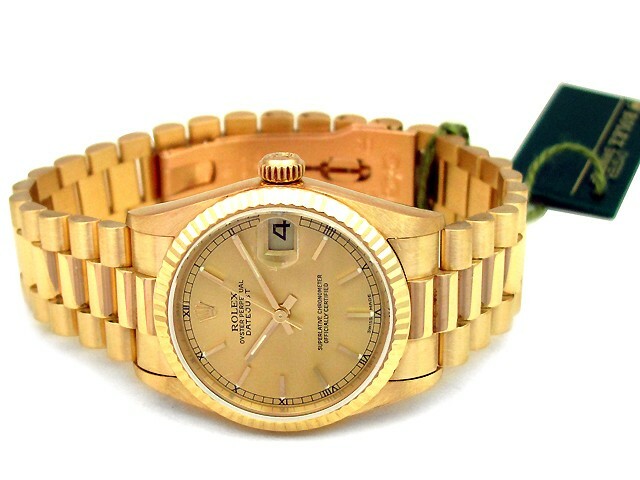 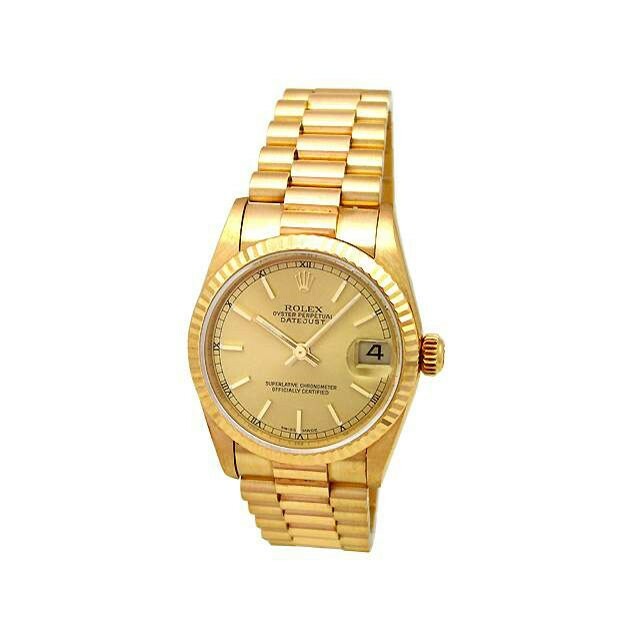 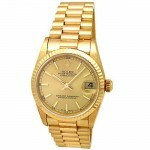 31mm Midsize Rolex 18k Yellow Gold Oyster Perpetual Datejust Watch. 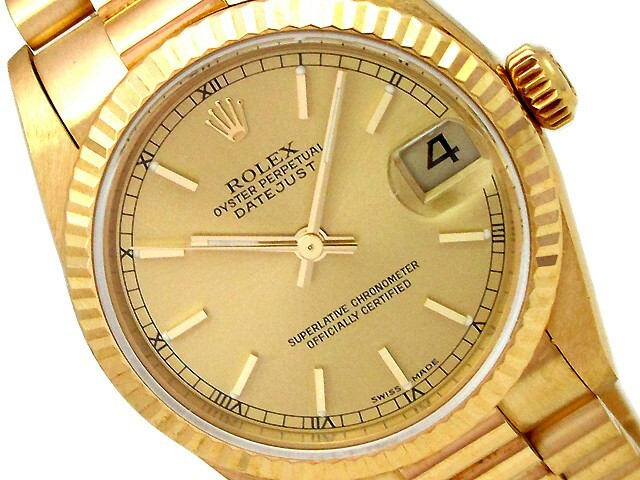 Champagne Dial. 18k Yellow Gold Fluted Bezel. 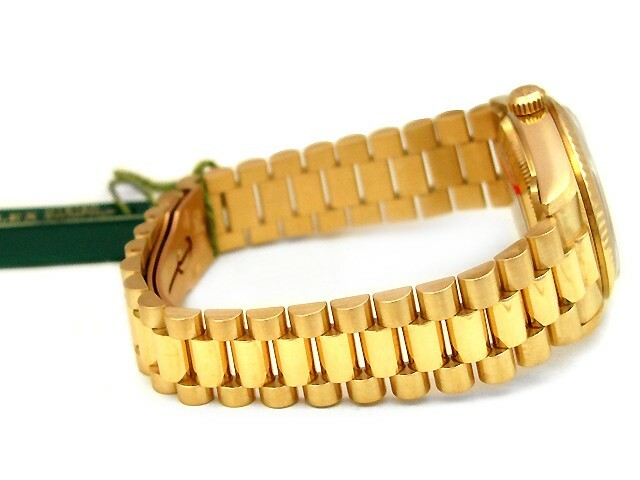 18k Yellow Gold President Band. 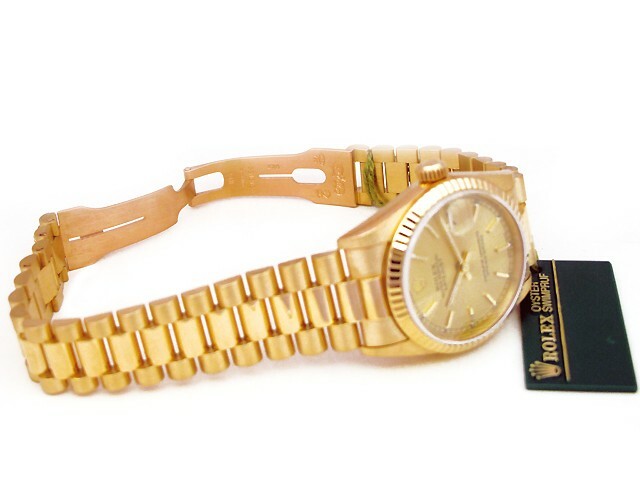 Style 78278.